I am pursuing my Masters in Computer Science at University of Manitoba starting January 2012. My current research, supervised by Dr. Andrea Bunt, is focused in Intelligent Systems, within the area of Human-Computer Interaction (HCI). 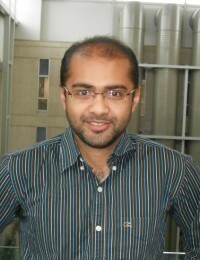 As a professional software developer I worked with various technologies from July 2007 to December 2011. I received my B.Sc. in Computer Science and Engineering from Bangladesh University of Engineering & Technology (BUET) on June '07. Mohammad Noor Nawaz and Andrea Bunt (2014) IntelWiki: Recommending Resources to Help Users Contribute to Wikipedia. In Proceedings of the 22nd International Conference on User Modeling, Adaptation, and Personalization (UMAP 2014), pp. 303-404.